The ADJ Mega Flat Pak 8 is a convenient solution for the mobile entertainer to provide Pure Lighting Excitement at any party. 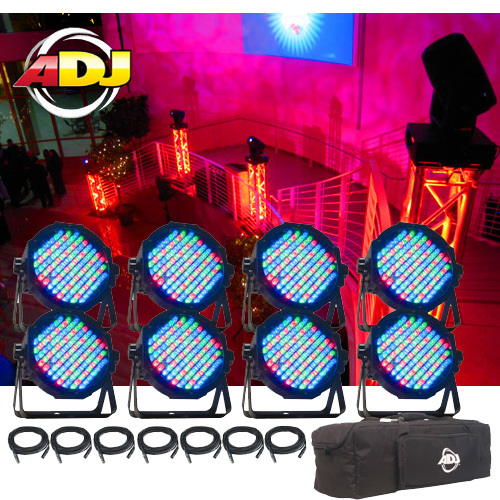 It includes eight (8) of the popular ADJ Mega Par Profile LED Wash Fixtures, seven (7) DMX connector cables, and a soft carrying case to protect your Mega Par Profiles during transport and dust-free while storing. 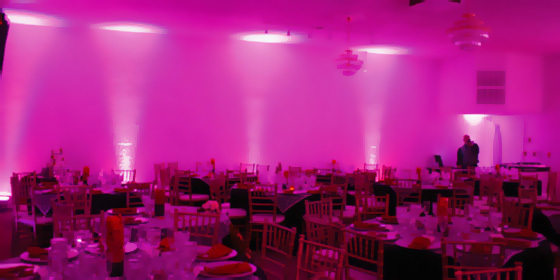 The Mega Par Profile slim design and vibrant RGB output is perfect for Uplighting, stage washing and wall washing. 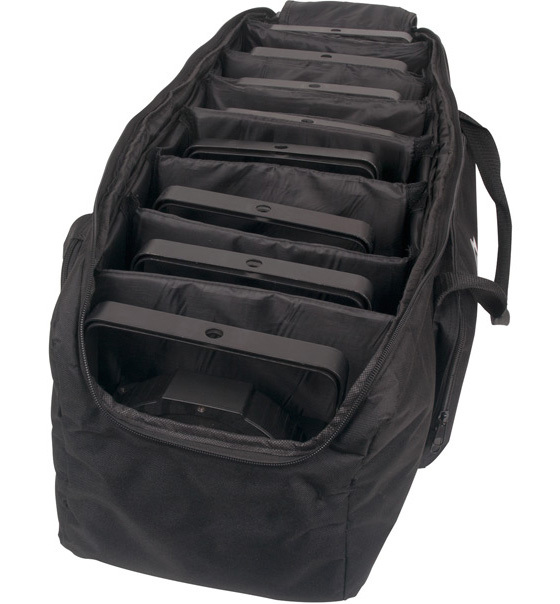 The carrying case easily fits eight Mega Par Profiles and the DMX cables, plus a space for a small LED Controller (controller sold separately).